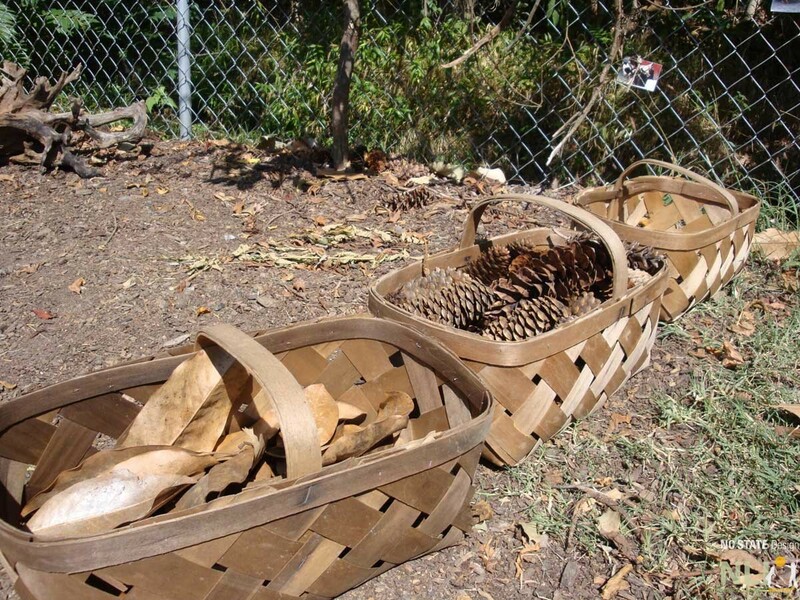 I need some inspiration for creative autumn outdoor play. Any suggestions? Autumn is a magical time of year. Leaves change to brilliant yellows, oranges and reds. An abundance of natural loose parts fall to the ground and are now within reach. If inspiration is needed for creative outdoor play ideas, try connecting the stories and themes of children’s books to autumn outdoor play. 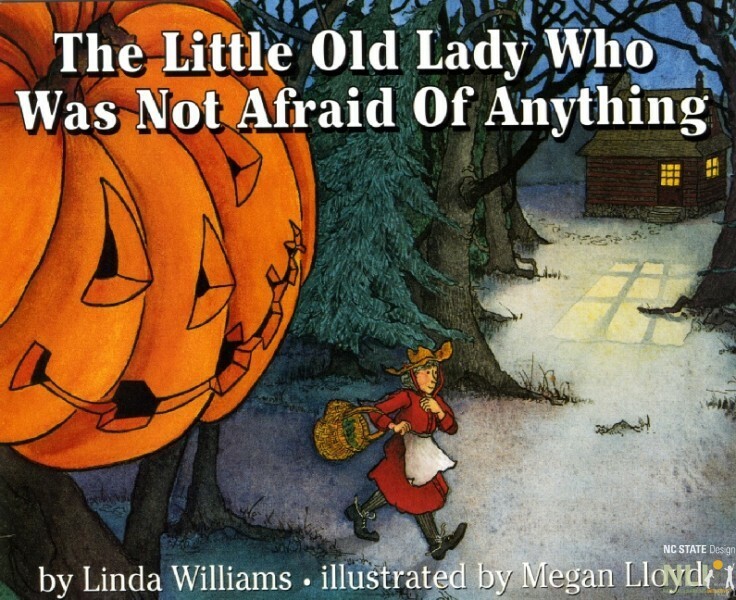 To help narrow down the vast array of autumn themed children’s books, some our POD partners have recommended some of their favorite autumn books and outdoor activities. 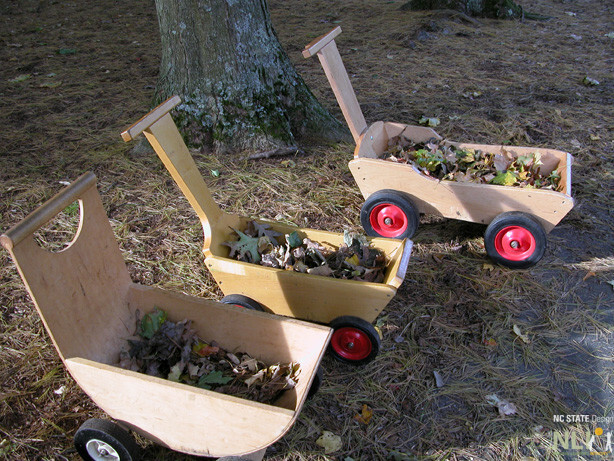 Children have gathered autumn loose parts in child-sized carts. Autumn loose parts gathered by the teachers and placed in the outdoor learning environment for the children to discover. 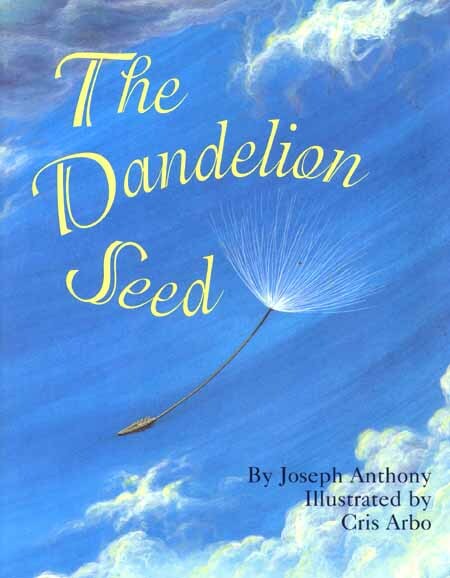 Amy Barry, Program Manager, Smart Start of Buncombe County, likes The Dandelion Seed (by Joseph Anthony, Illustrated by Cris Arbo). She says, “A related activity is a seed search. Children put adult athletic socks (high ones) on over their shoes and pants and walk in an area where there are grasses/plants with seed heads. They examine what they collect on their socks, to determine which plant it came from and how it got there (wind borne or from brushing against their legs).” This book, particularly the illustrations, should inspire many other fall activities. 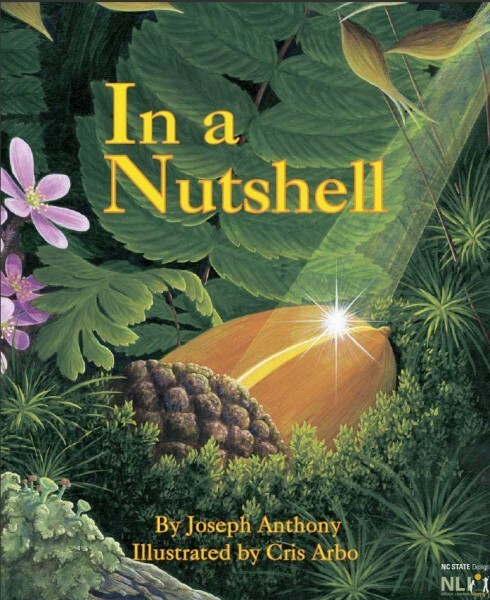 Anthony and Arbo also collaborated on In a Nutshell, which tells the life story of the oak, from acorn to mighty, mature oak. With the many acorns to be found right now (you will have to beat the squirrels to them), autumn is the perfect time for this book, as well. Playing by the book: Reviews of kid’s books and the crazy, fun stuff they inspire us to do. A great blog written by a mother with 2 young children. Search by an array of categories on the right side of the page.